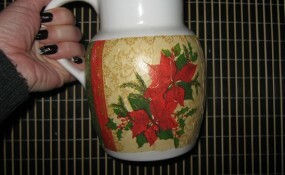 Laura from Dacian Moon Handmade will show you how to make this. 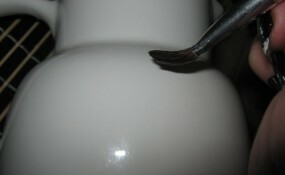 Remove the white layers. 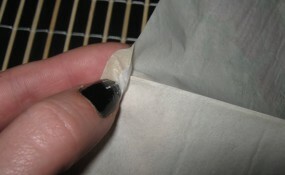 It is easier to start in the middle, where the napkin was folded. 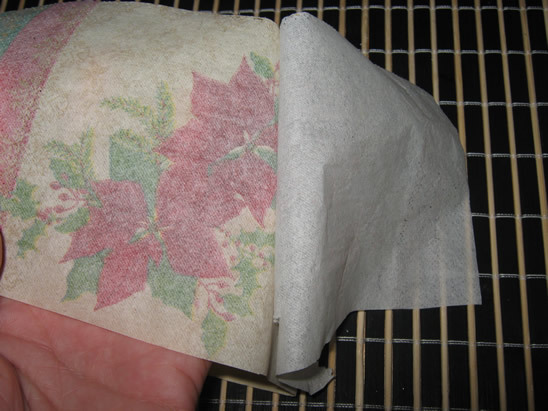 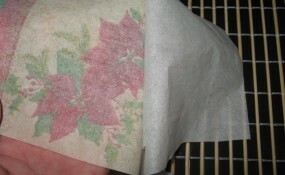 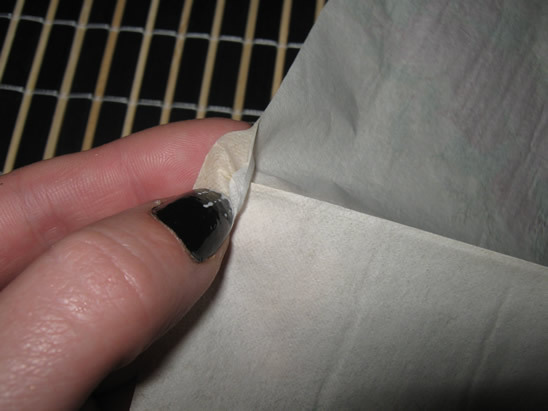 Most napkins are either 2-ply or 3-ply so you must remove all the white layers. 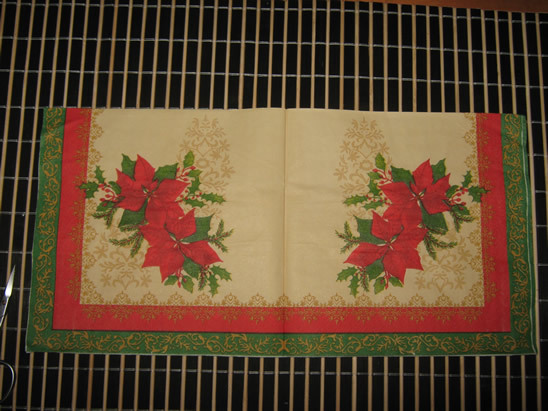 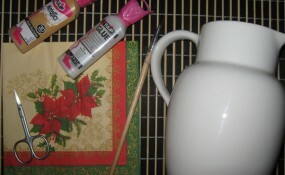 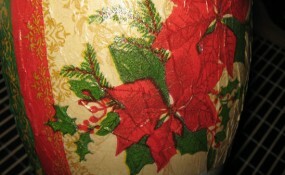 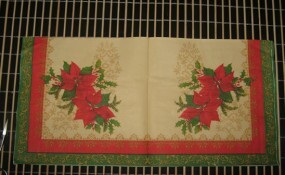 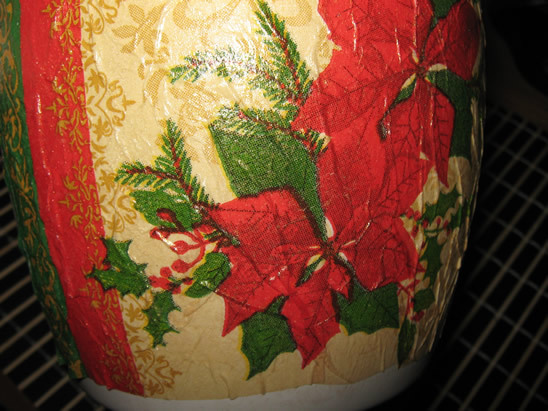 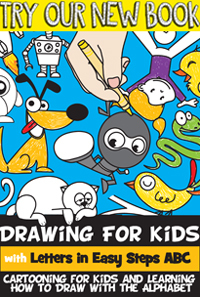 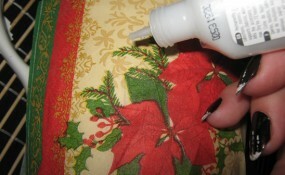 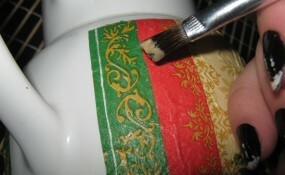 … apply a layer of glue on the item where the motif will be. 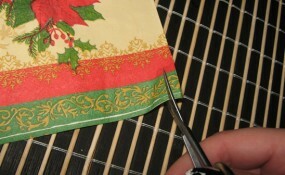 Place the napkin as flat as you can, following the contours of the item. 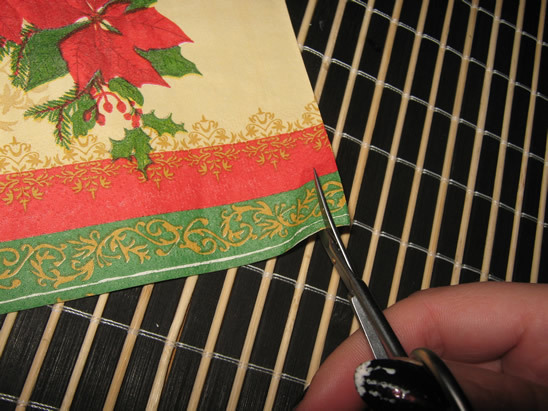 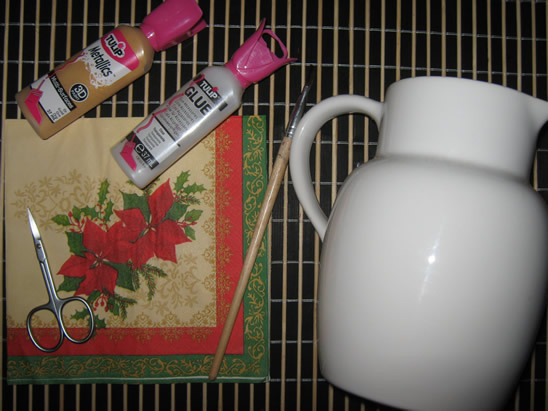 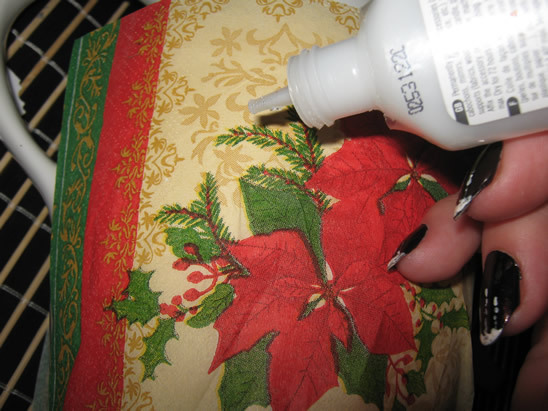 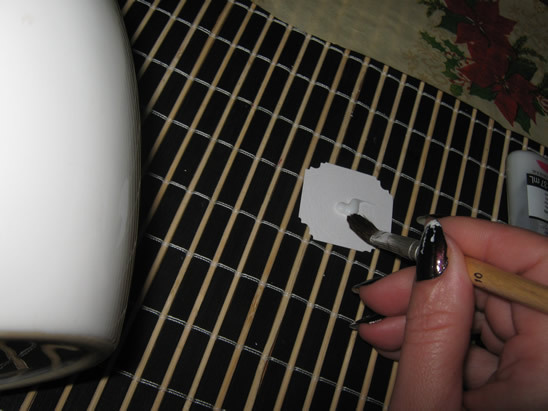 Wet the brush slightly with glue and spread evenly on the surface of the napkin until it is completely covered. 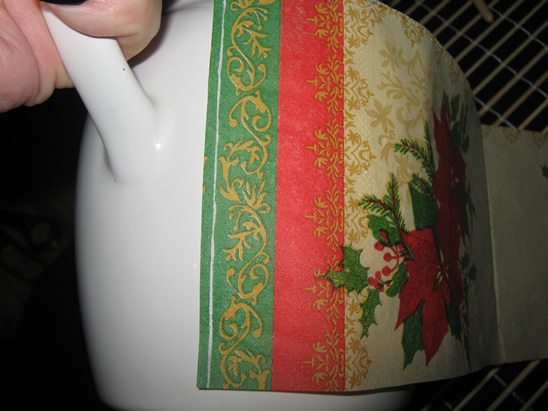 Work slowly and be careful not to tear the napkin. 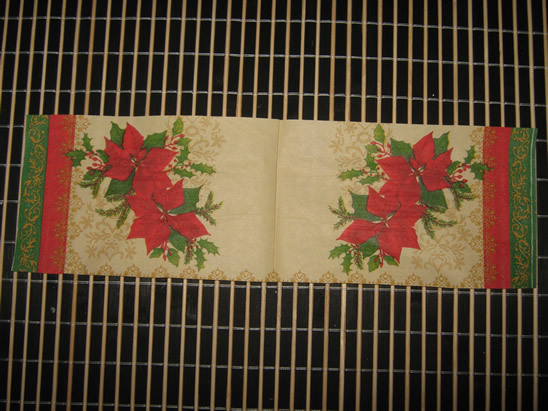 Work from the center out towards the edge of the pattern. 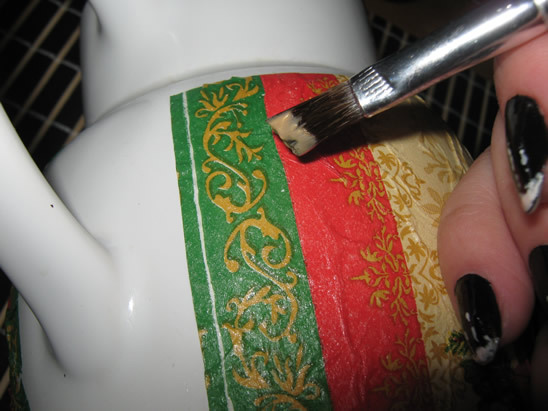 To give it shine you can add a thin layer of metallic paint over the motif. 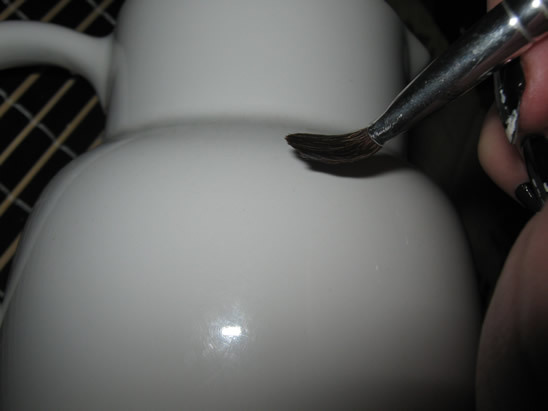 … and the jug is ready. 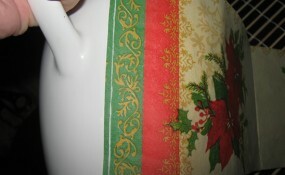 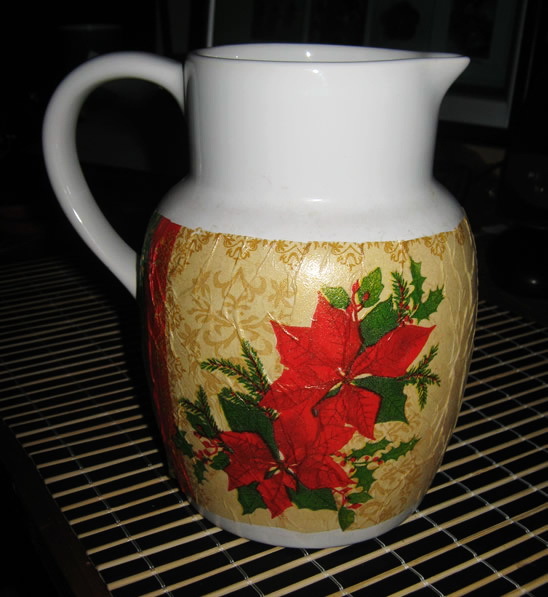 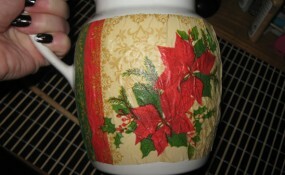 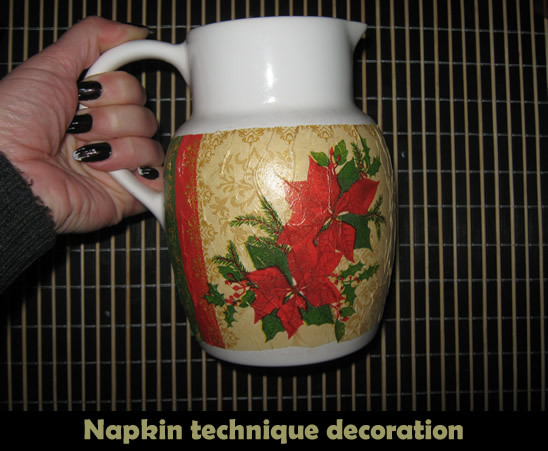 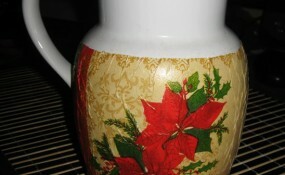 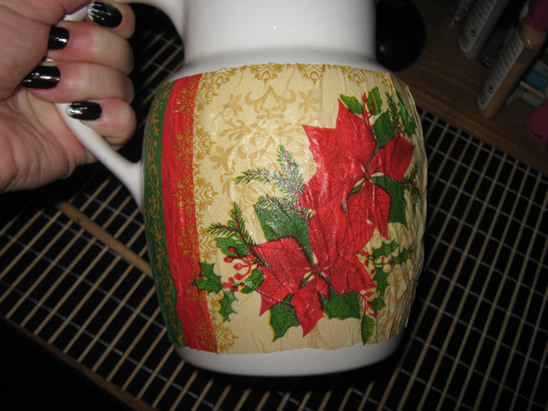 Now place the Christmas decorated Jug somewhere special this Christmas. 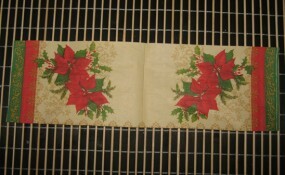 It is a perfect decoration for the Holiday that you can use for years to come.